Any computer in between you and the server could see your credit card numbers, usernames and passwords, and other sensitive information if it is not encrypted with an SSL certificate (while this is rare, it is a possibility). When an SSL certificate is used, the information becomes unreadable to everyone except for the server you are sending the information to. By having that little padlock icon on your website when making a purchase, it gives a sense of security by keeping information safe from your browser all the way to the server. This is therefore particularly important if you have an e-commerce site using payment gateways such as Realex, PayPal, Stripe, if you are taking credit card payments or are using a contact form to gather personal info. How does a website certificate work? The browser/server checks to see whether or not it trusts the SSL certificate. If so, it sends a message to the web server. The web server sends back a digitally signed acknowledgement to start an SSL encrypted session. When the SSL Certificate is installed on a website, this padlock is initiated as well as the application protocol which changes the HTTP to HTTPS, the ‘s’ standing for secure. Google recently announced that having an SSL Certificate is the easiest thing site owners can do to boost SEO ranking. The Google search boost for using SSL applies to all sites, whether they have personal information or not. So even if your website doesn’t have a checkout page, login pages, or any financial or sensitive personal information, you can still get SEO benefits by installing an SSL Certificate on your site. Format.ie can organise this on your behalf. 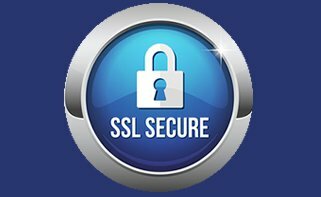 Contact us on 071 913 1991 to discuss getting an SSL Certificate.